Nobody said being a landlord was easy, especially when tenants are late on rent or cause damage to the property. In this case, a landlord named Thomas Ravaux had to deal with a pretty unsavory tenant situation. 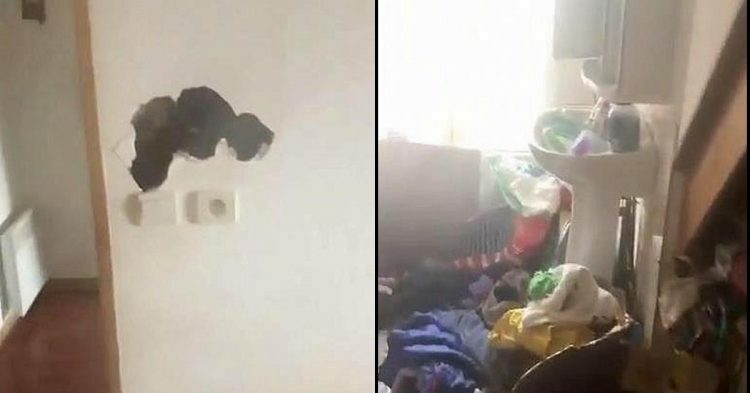 When the occupants didn’t pay rent for 14 months, he decided to pay them a visit and discovered things in utter shambles. The family had left the apartment — and a whole mess behind. Thomas contacted his lawyer and then called for a dump truck. 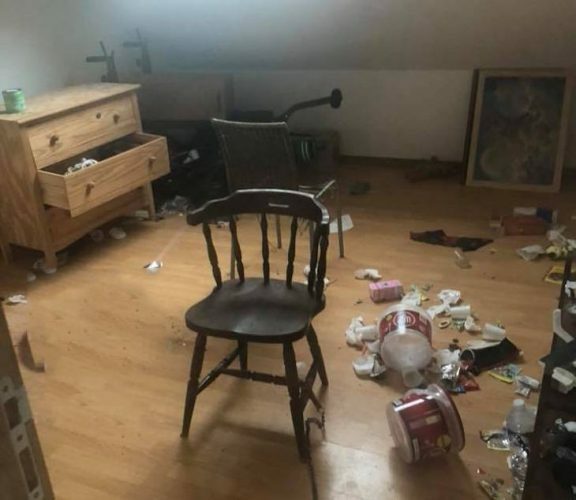 While the living conditions were deplorable and Thomas felt bad for any children living in these conditions, he felt it important to teach the tenants a lesson so they wouldn’t ruin someone else’s property. 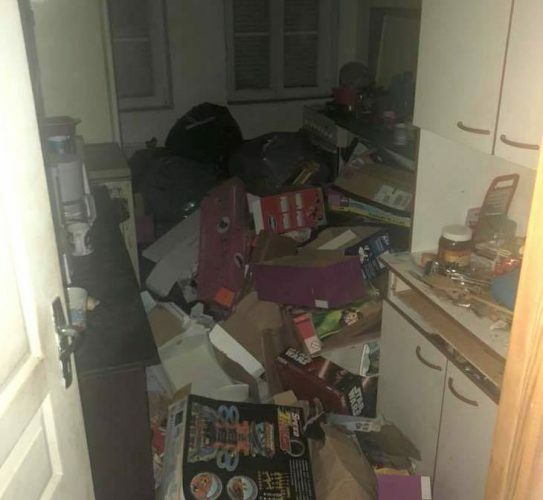 He told France Info that the mess they left behind was jaw dropping, so he packed up the garbage and broken furniture and other miscellaneous stuff in a dump truck and dropped it on his former tenants’ new doorstep. 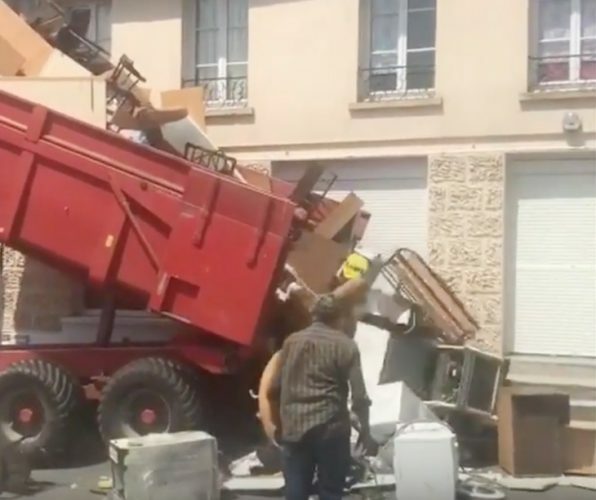 It’s easy to see why people would back him on this, as the video shows a dump truck brimming with junk at his former tenants new home — as he gives them their stuff back, by dumping out the entire contents of the truck on their front step!